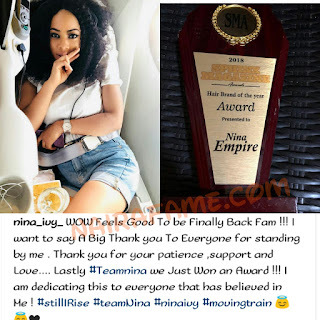 Nina is Finally Back On Gram as She shared Picture of New Award She Bags in. Photo - NAIRAFAME | Best Entertainment Platform. 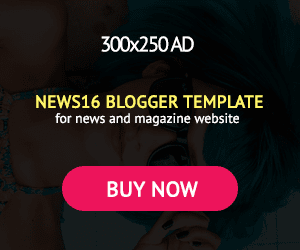 Ex-Bbnaija housemate, Nina Ivy shared photo of new award she bags (Hair brand of the year award ) in after she recovered her account from Instagram hacker, Yusuf.